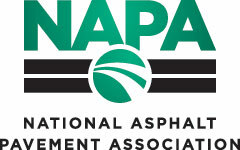 The National Asphalt Pavement Association is working with the Federal Highway Administration to determine the amount of hot-mix asphalt (HMA), warm-mix asphalt (WMA), and recycled materials being produced and used in each state. This survey will be used to collect this data. It is important for the industry that you complete this survey so that we have accurate information regarding the use of recycled materials and WMA and to identify areas needing assistance in implementation. DATA FROM THIS SURVEY WILL BE CONFIDENTIAL AND WILL BE USED ONLY FOR THE PURPOSES OF DETERMINING THESE QUANTITIES. IT WILL NOT BE USED FOR ANY OTHER PURPOSE. DATA WILL BE REPORTED BY STATE ONLY, AND NO STATE-SPECIFIC DATA WILL BE REPORTED WHEN FEWER THAN THREE COMPANIES/BRANCHES RESPOND WITHIN A STATE, NO COMPANY-SPECIFIC INFORMATION WILL BE DISCLOSED IN ANY WAY. Survey results will be shared with industry, government agencies, and officials to help in the implementation of recycling and warm-mix technologies. The data collected from this survey provides insight into trends, current practice, and is utilized to highlight the sustainability of asphalt mixtures. These results are also used by FHWA, Energy Information Administration, Environmental Protection Agency, and other federal, state, and local agencies to determine the impact of recycled materials and WMA. By completing this survey you will be eligible to receive a complimentary copy of the full report.